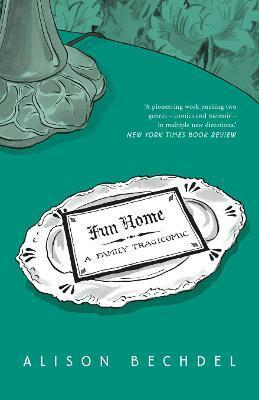 A moving and darkly humorous family tale, pitch-perfectly illustrated with Alison Bechdel's gothic drawings. If you liked Marjane Satrapi's Persepolis you'll love this. Meet Alison's father, a historic preservation expert and obsessive restorer of the family's Victorian home, a third-generation funeral home director, a high-school English teacher, an icily distant parent, and a closeted homosexual who, as it turns out, is involved with his male students and the family babysitter. When Alison comes out as homosexual herself in late adolescence, the denouement is swift, graphic, and redemptive. Interweaving between childhood memories, college life and present day, and through narrative that is equally heartbreaking and fiercely funny, Alison looks back on her complex relationship with her father and finds they had more in common than she ever knew.